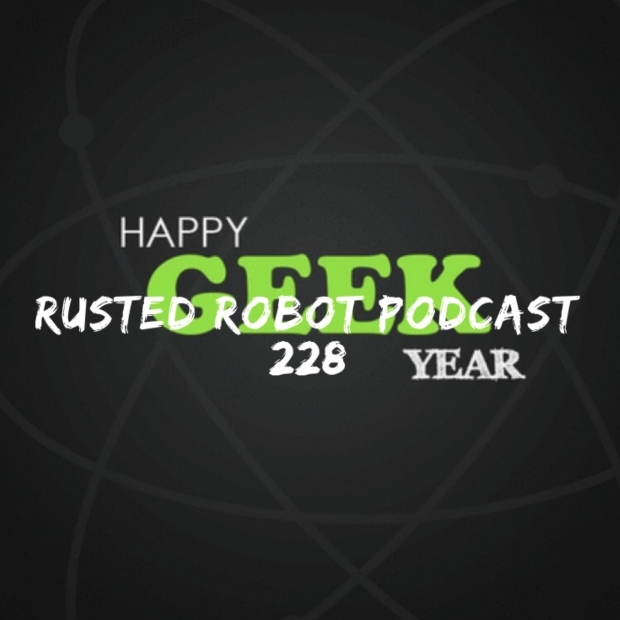 Home Rusted Robot 228: HAPPY GEEK YEAR! Rusted Robot 228: HAPPY GEEK YEAR! As we look forward to a new year of geeky goodness in the world of pop culture entertainment, we take this time to remember the year that was 2018. On this episode, Shawn and Josh take a trip down memory road. Highlights include some of the movies we saw at the theatre, celebrity deaths, and the Tide Pod phenomena. Major discussions on this episode include the Lost in Space reboot on Netflix and Star Trek Discovery. Star Wars and Mark Hamill are also a big topic on this episode. And the fact we joined the ESO Network is big news this year. And of course, one cannot forget the life and legacy of Stan Lee.